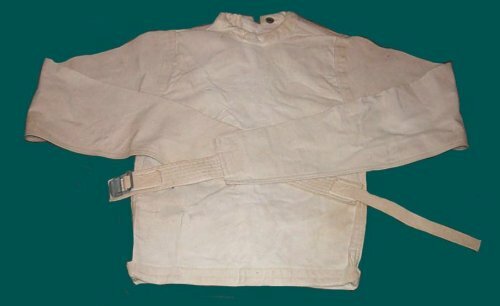 This is a rather conventional jacket from an unknown manufacturer. 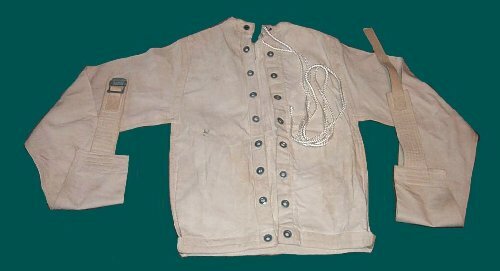 It is a large jacket that ties up the back, the original ties have been lost. The sleeves fasten in the back via a metal strap. The sleeves have a rather wide cut making the jacket looser than most. The jacket lacks a crotch strap and is is not terribly secure.